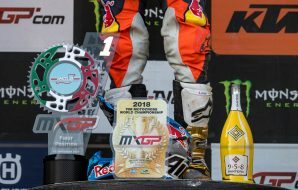 Thomas Kjer Olsen is affectionately abridged to ‘TKO’ within MXGP and Husqvarna and there is a ream of boxing similes that could be applied to the punch the lofty twenty year old Dane has made in his short Grand Prix tenure so far. 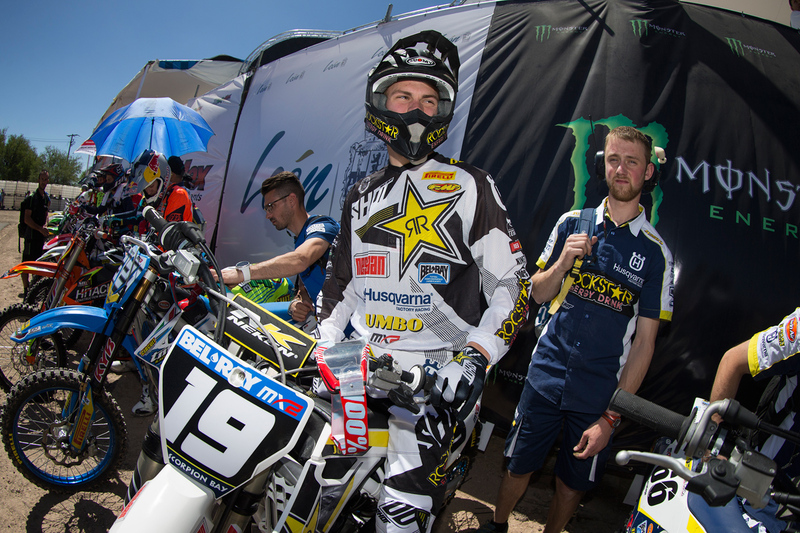 #19 almost stumbled around the European scene until finding the right form of guidance and collaboration with the shrewd perception of countryman Rasmus Jorgensen (fast becoming a European version of Gareth Swanepoel for his stewardship of Husqvarna’s young GP programme) and his performances and results on the way to the 2016 EMX250 Championship was nothing short of emphatic: there was nobody more capable and proven on a 250 filtering into MX2 for 2017 and starting the season with Jorge Prado, Darian Sanayei, Hunter Lawrence and Bas Vaessen for ‘rookie’ company. Not shabby at all. When Kjer Olsen (younger brother to former EMX250 contender Stefan) smiles that he likes to play basketball in his downtime then it’s not hard to see why. 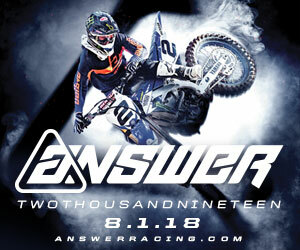 He is a sky-touching 6ft 2 and easily one of the biggest MX2 riders in the gate attracting both attention and even some derision for his awkward fit on the smaller bike but Olsen really makes his frame work for him. 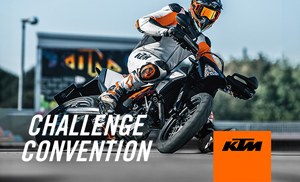 He drives the FC250 with the lower half of his body, absorbing and pushing the MX2 bike around: the image only adds to the picture of mastery when in full racing flow. It’s exciting and watchable stuff. Olsen is discovering a long Grand Prix term of nineteen dates from one of the best ‘nests’ in the class. 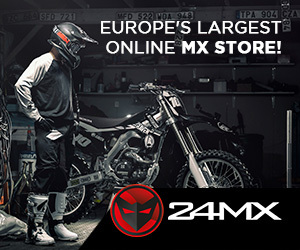 Jacky Martens’ Lommel-based operation has been the staging point for a number of careers and athletes such as Romain Febvre, Jordi Tixier, Pauls Jonass, Alex Tonkov, Joel Roelants, Jake Nicholls and more. 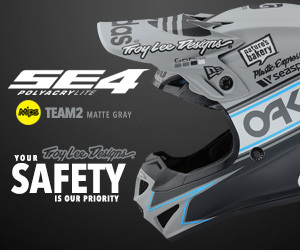 He sits as part of a trio with Thomas Covington (now a four year ‘veteran’ of MX2) and teenager Conrad Mewse. 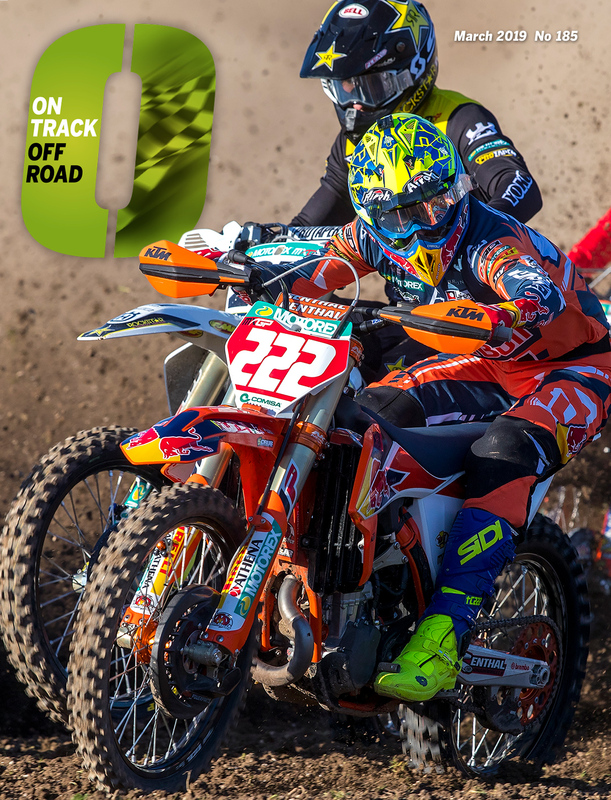 At the hub of TKO’s world is flatmate Jorgensen, with the Dane taking up residence in the centre of Belgian motocross hotspot Lommel with the former Suzuki GP rider whose promising career was harshly curtailed after a road accident. Thomas is easy company and the laidback environment of Martens’ set-up is another asset for an athlete starting to feel the attention and spotlight that comes with elite sporting performance. Jorgensen has become an important cog in the machine, not only for the Danish link-up but also for how Husqvarna are curating racing stars. Jorgensen is a key feature of the background but it is Olsen who has raised his own personal standards so far in 2017 with a string of top five finishes and a first podium – that was a victory – at the Grand Prix of Latvia. 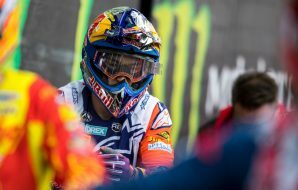 Thomas still has another three MX2 seasons to put his name in the record books but after an initial period of maturation he is now almost in a hurry. A sign of Olsen’s relaxed demeanour comes through his acquiesce to speak to us on raceday. 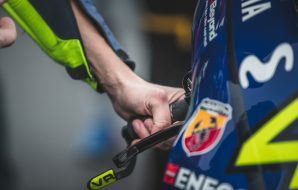 With warm-up completed at the Grand Prix of Germany and an autograph signing session also on the clock he is unruffled and virtually matter-of-fact about the interview process: perhaps practice really does pay off. Funny that you say that because I actually don’t feel like one. I have been watching the MX2 class for so long and studying the guys. So I don’t feel like a complete rookie even though I know I am making some stupid mistakes sometimes. To be honest I feel right-at-home in this class and it is where I always wanted to be: I’m happy to be here and it is going great so far. I learnt quite a lot in all my years in the Europeans, so I knew my weaknesses already and we’ve been working a lot on those and it just gets better with more race time. My starts have improved and this metal start gate helps me quite a bit in terms of my weight and height. We have been working hard all winter to not fade in those last few laps and charge the full moto. Since coming to mainland Europe I have been feeling more and more confident and actually enjoying being at the front. It puts a smile on my face to be battling with those guys. To be even able to pull away a couple of times is an amazing feeling to be honest. Last year in EMX250 must have been a big career booster but did you have any doubts that the speed, form and potential would transfer across to MX2? Just riding-wise. 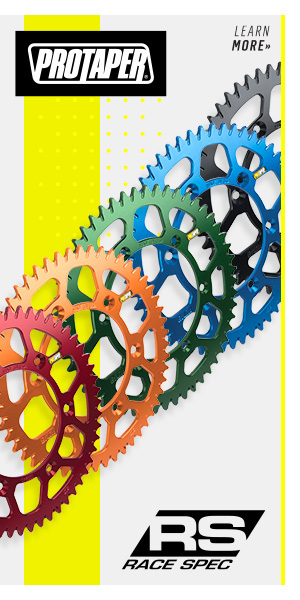 We had way-more time on the bike in the winter. It made me a lot stronger and I knew my bike that much more when it came to the first round. In previous years I didn’t have that opportunity in the winter months. I’d always have to get into shape during the season. So I worked on that a lot…and then we were thinking that it would be difficult to take another big step like that again two years in a row; but we did it. Rasmus and I just stuck to a programme and it worked. I had my doubts…and you never know until you have a go at something but we were riding with some of the GP guys and that helped me out when it came to race time. I think it carries a big benefit to practice against someone…I think you can see that with Aldon [Bakers Factory, in the USA]. I’m used to pushing myself in practice.